Sunrise illuminates North Window Arch in a brilliant red. 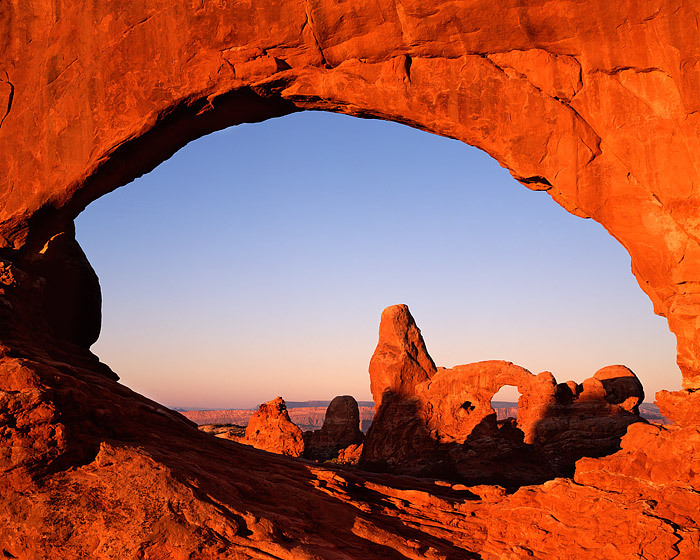 Turret Arch is viewed through North Window Arch in this view of Arches National Park. Utah is well known for its red rock and when photographed at first light, Utah's famous sandstone becomes an almost unreal, intense red. Photo © copyright by Thomas Mangan.